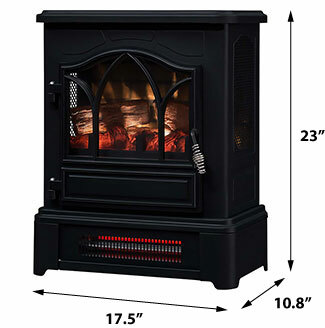 If you've got a chilly room that needs the warmth of a fire, these freestanding electric stoves simulate a wood burning stove, while fitting in tiny spaces where a complete fireplace with a mantel can't. Smaller sizes are also great for inserting into an existing fireplace for a vintage look. An electric fire offers the perfect answer for a flickering flame effect and extra warmth when needed. They're also lightweight and easy to carry from room to room if needed. 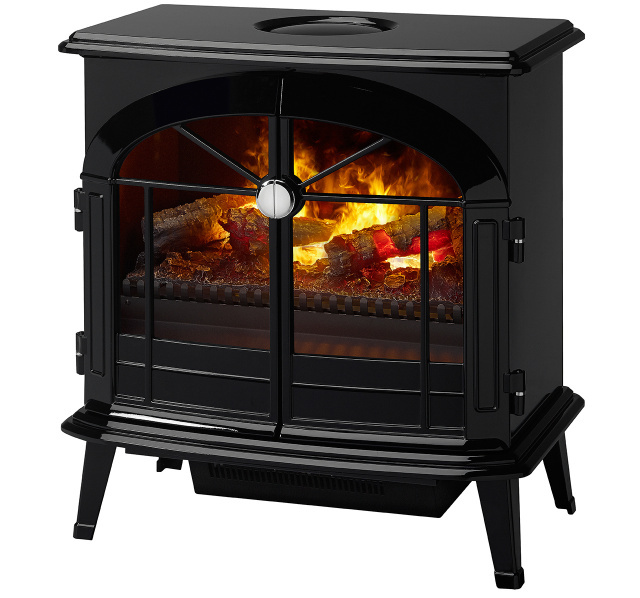 Electric stoves require no venting, no gas lines, no technical expertise. Just unbox your electric stove, plug it in and enjoy! 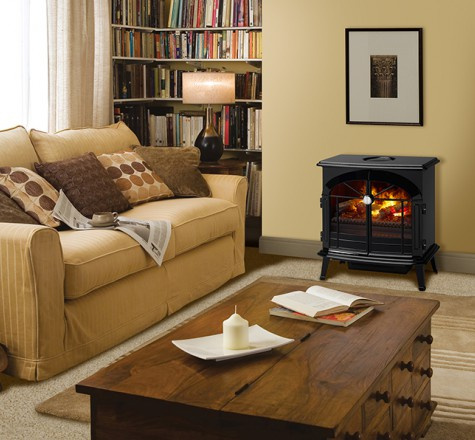 We offer a great selection of freestanding electric stoves, electric fireplaces with mantels, wall mount electric fireplaces, and inserts that retrofit into an existing fireplace. (For just a glowing effect with no heat, we also offer decorative electric logs).